The only truly complete and good album that Skynyrd has made since the crash. Every song on this album is great, something everyone thought they would never do after the crash. I was thinking that I would be dissapointed, but much to my suprise I found that I love this CD! This is great music. Yes, it is very different from the pre-plane crash Lynyrd Skynyrd of the 1970's, but it is by far the BEST CD Skynyrd has produced since 1977. This CD stands on its own musically. Ronnie is rolling over in his grave. Ugh. What happened here? Did Toby Keith write and produce this tired country pop crossover crap. Atriums and Rickey if you are still in this band shame on you. This is not Skynyrd or southern rock for that matter. Please change the name of the band. They have taken the name Lynrd Skynrd in vain and the real band is no longer around to do anything about this travesty. This makes me sad, I will forget I even heard this. Skynyrd is sacred here in the south don't go messin with it. This hardly sounds like lynyrd Skynyrd!!! they were 20 times as good with Ronnie Van Zant. Boo! Change the name of the band! This is not Lynyrd Skynyrd. This is Nashville Johnny Van Zant. This album shouldn't even be classified as rock n roll, becuase the guys don't play it anymore. I remember when Skynyrd could play countryish tunes but still give a rock edge but this is just plain awful. Granted, there are two or three rockers on here, but they sound like they were written for Nickelback. 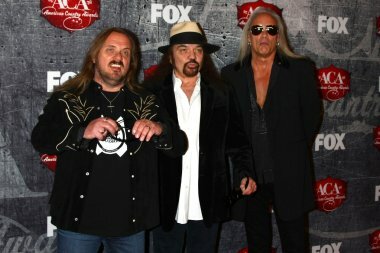 I've been a Skynyrd fan since the 70's but I think that streak of loyalty is going to end. Time to dust off the old Thin Lizzy albums and listen to some REAL music! One of my favorite albums ever by any artist!!!!! Awesome awsome!!... Remember when you have either a Bible or a gun in either hand you can't fear anyone! 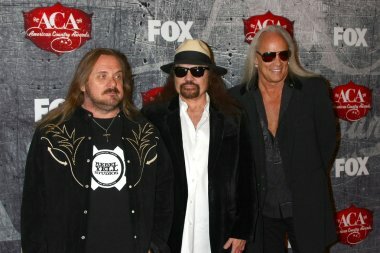 Lynyrd Skynyrd has been recording with Johnny Van Zant since 1991. That is how long it has been since their sound changed some. It is not really been that large of a change, just a slight more of a rock feeling rather than ALL southern rock. There are a large variety of songs here and some them have a very southern rock feel to them. To come in here and complain about a band you obviously have not been listening to for over 19 yrs. only shows your lack of knowledge. You should know the band before you review them. This is a great album and stands on its own merit.If you like LS,you will love this album. Love Lynyrd Skynyrd, love this album!!!! "Still Unbroken" is the best song, but there are some other greats on here!! I think it's awesome how Rob Zombie has vocals on "Floyd," too! Lynyrd Skynyrd is defs an older classic rock band, but this album shows that they are evolving into a more modern sound. Awesome album!!! !